Robbie & I met online on a hookup site. We strictly hooked up for a few weeks, which was followed by what I call our "awkward courtship" wherein we both finally admitted we like liked each other.&bsp; My size was never an issue for him, he loved me & my body when we met, he loves it now, two years & 40+ pounds later. He helped me learn to love my body.&bsp; I like that's he's terribly awkward & he likes that I speak my mind (sometimes without thinking enough first). 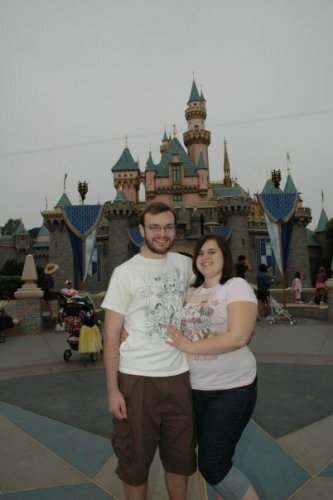 This is a picture from our one year anniversary at Disneyland. Rob & I have been together two years now, we just moved into our first apartment together.